Often in cheesy rom-coms they say “All good things must come to an end.” Except it doesn’t in movies. But, if it’s a Google product, there’s a high chance that it might come to an end (RIP Google Reader). Next month, the company’s much-loved email app, Inbox – which was introduced in 2014 as a more personalized interface for Gmail – is retiring. While Google said it’s going to bring a lot of Inbox features to Gmail, a lot of fans think it’ll never be quite as good as the soon-to-be-sunset app. Inbox had some great features over Gmail like reminders, snoozing messages so they surface later on, bundles for grouping similar conversations, and AI-powered smart replies. With last year’s major Gmail overhaul, Google brought some of those features over, including snoozing, hover actions (marking an email read or archiving it without opening), smart replies, and follow-up nudges (an automatic suggestion to send a follow-up email after getting no answers for a few days). Last year, Google even said that it’s working on bringing bundles to Gmail, but didn’t specify when the functionality would arrive. The company’s rumored to be working on a few upcoming features as well. A recent post on Reddit suggests that Google’s internal team is testing bundles, reminders, and pinned email features on Gmail. There are some workarounds and guides on how to bring some of these features to Gmail right away. But it’s a tiresome job of setting everything up for the web and mobile, and they won’t do much to make Gmail look quite as pretty as Inbox. The idea behind Inbox was to make it your personal productivity hub, and it brought all these features together seamlessly. I’ve made shopping lists on Inbox, tracked my travel itineraries using bundles, and followed up on tasks for work with reminders. Plus, Inbox’s categorization was pretty neat as well: it ensured that bills and social updates didn’t interrupt my workflow, but were easily accessible when I needed them. So why doesn’t Gmail just adopt everything that Inbox had to offer? It’s probably because not everyone will appreciate a drastic departure from traditional email client interfaces. That goes for individual users, as well as the scores of organizations that use Gmail as their primary email service. But as a bigger fan of Inbox than Gmail, this slow rollout of smart features to the latter is a drag. My suggestion to Google is to introduce an Inbox mode in Gmail, that has all the functionalities of the app it’s killing off. That way, everybody gets what they want from their preferred email service. 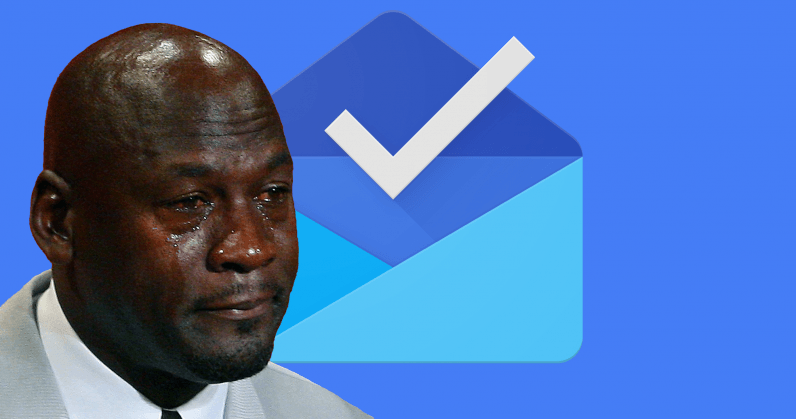 I’m dreading next month, when all of us Inbox fans will have to migrate to Gmail. Email simply won’t be as much fun again – not for a long while, anyway. Inbox is dead. Long live Inbox.